Aayas Overseas. Buyer from India. View Company. Aayas Overseas focuses on agriculture and export of products made in India.We export best quality Fresh Ginger, Dried Ginger and Tissue Paper, Toilet Paper Roll, Paper Napkins to other countries from India. We also are the importers of the products which fits in our requirements. We believe in quality assurance and reliability in services and building long term relationships with our customers. The roots or underground stem of ginger plants dry up as fresh, powder, spices, oils, in the form of oil, juice in the oven. Ginger is considered a very important organ in Ayurvedic medicine. 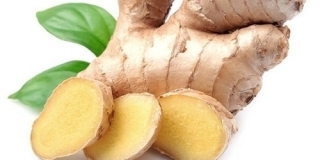 Aayas Overseas is amongst the most reliable Exporters and Suppliers of Ginger, We are currently a name to reckon with in the domestic as well as in the international market. We aspire to develop ourselves as lead player in Ginger market by offering our customers best quality products at competitive prices.We aim to achieve this by adopting ethical, moral, innovative and eco-friendly practices that would lead us to professional heights coupled with personal uplift of our Farmers. To unlock the potential of Ginger a natural source: using advanced processes in a green / clean way and supply our customers with high-quality / eco-friendly products which are necessary for environment protected better future. 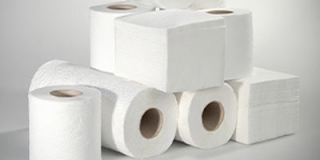 Supplier : Fresh ginger, dried ginger and tissue paper, toilet paper roll, paper napkins etc. Services : A growing firm in import- expect trade.